Go to this page for more alpahbet resources. 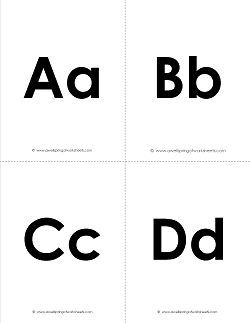 This set of printable alphabet flashcards is plain and simple - clean, crisp, traditional fonts with the uppercase and lowercase letters on the same card. 7 pages with 26 cards. These letter flash cards have upper case and lower case letters on separate cards. 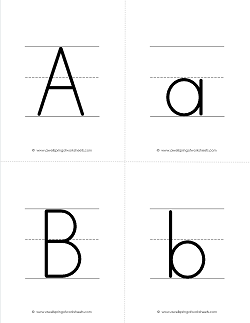 The letter are on primary writing lines so kids can see how the letters are to be written. 13 pages with 52 flash cards.